The Medicare Access & CHIP Reauthorization Act of 2015 (MACRA) was bipartisan legislation signed into law in April 2015 to permanently repeal the Sustainable Growth Rate (SGR), streamline physician quality reporting programs, and provide incentive payments for physician participation in alternative payment models. 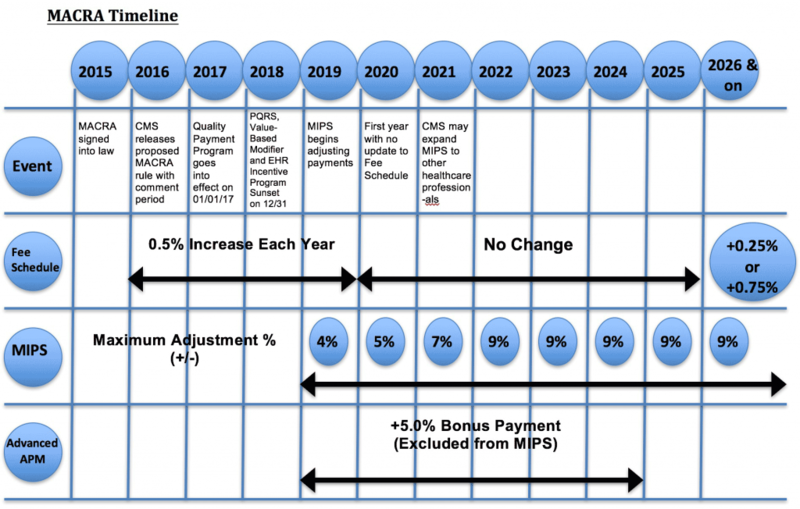 MACRA sunsets the Physician Quality Reporting System (PQRS), the Value-Based Payment Modifier, and the Medicare Electronic Health Record (EHR) Incentive Program and establishes an umbrella Quality Payment Program (QPP) with two new pathways for payment: 1. 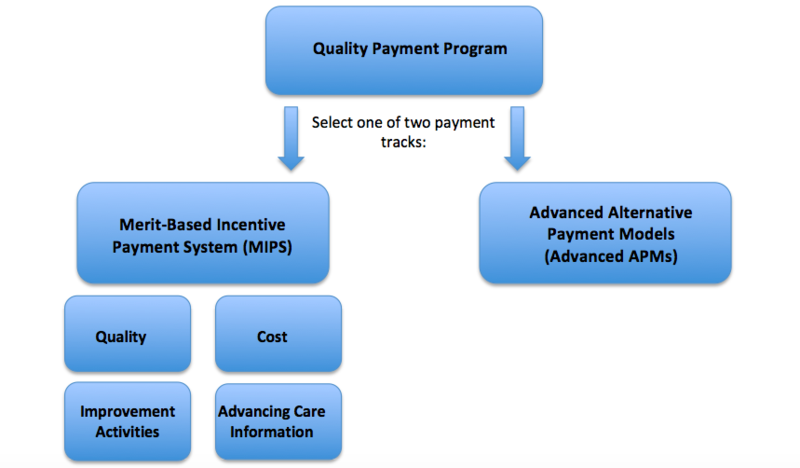 Merit-Based Incentive Payment System (MIPS) and 2. Advanced Alternative Payment Models (Advanced APMs). In April 2016, the Centers for Medicare and Medicaid Services (CMS) released a proposed rule to begin the process of implementing MACRA. The proposed rule established a framework for the QPP including details on the two new tracks for payment: MIPS and Advanced APMs. CMS accepted public comments on the proposed rule though June 27, 2016 and received significant feedback from many interested stakeholders, including ISASS. Under this option, physicians can avoid a negative payment adjustment as long as some data is submitted to the QPP, including data from after January 1, 2017. This first option is designed to ensure that your system is working and that you are prepared for broader participation in 2018 and 2019 as you learn more. Under this option, physicians may choose to submit data to the QPP for a reduced number of days. This means your first performance period could begin later than January 1, 2017 and your practice could still qualify for a small positive payment adjustment. For example, if you submit information for part of the calendar year for quality measures, how your practice uses technology, and what improvement activities your practice is undertaking, you could qualify for a small positive payment adjustment. Under this option, physicians may choose to submit data to the QPP for a full calendar year. This option is designed for practices that have internal systems ready for data reporting on January 1, 2017. This means your first performance period would begin on January 1, 2017. For example, if you submit information for the entire year on quality measures, how your practice uses technology, and what improvement activities your practice is undertaking, you could qualify for a modest positive payment adjustment. Instead of reporting quality data and other information, the law allows physicians to participate in the QPP by joining an Advanced APM, such as Medicare Shared Savings Track 2 or 3 in 2017. If you receive enough of your Medicare payments or see enough of your Medicare patients through the Advanced APM in 2017, then you would qualify for a 5 percent incentive payment in 2019. On October 14, 2016, CMS issued the final rule implementing MACRA and QPP in 2017. CMS made significant changes to the QPP in the final rule after receiving significant feedback from the physician community and medical societies, including ISASS, during the public comment period on the proposed rule.